This is a premier dating site for those who crossdress and want to meet someone who won't judge because of that. 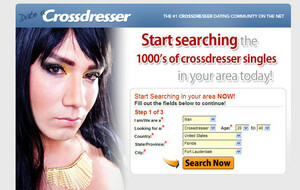 The dating site, Date A Crossdresser, is for people who either crossdress and want to find someone who understands and will accept them for who they are, or for people who are interested in crossdressers and prefer to date them. This site is confidential and available in four different countries. Appreciate yourself for who you are and don't deny it!